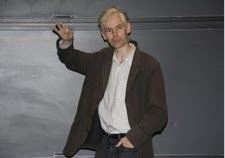 Rouse Ball Professor of Mathematics at Cambridge University and Fellow of Trinity College, Timothy Gowers, gives this year's Charles Simonyi Lecture, the annual lecture for the public understanding of science at Oxford Playhouse on Friday 2 October. Gowers will talk about his recent involvement in an experimental attempt to solve a serious mathematical research problem publicly and collaboratively on the internet. He will discuss the problem itself, the difficulties involved, the surprising outcome, and what this suggests for the future of mathematics. The Simonyi Lectures are a series of annual lectures in Oxford, set up in 1999 by Richard Dawkins, in order to promote the public understanding of science. Now in it’s eleventh year, Marcus du Sautoy follows Richard Dawkins as the new Charles Simonyi Professor.